Rather than writing another article this week about the great Abbott versus Turnbull war on ideology, causing your and my excitement level to maybe rise sharply and rate as ‘slightly interested’, let’s look at some positive events that are occurring right here in Australia. Even if you have been living under a rock for the past ten years, you have probably heard of Tesla. Elon Musk is the co-founder, CEO and product architect of the company which produces electric vehicles, solar roofs and battery products, and while he might not be the perfect human being, according to his Wikipedia entry, his $15.2 Billion wealth started with a $2,000 seed fund from his father. In a number of countries around the world (including Australia and New Zealand), you can convert a 6-figure sum into a Tesla vehicle. Apparently, they are quite good albeit expensive. They even have a reasonable range from the battery. When you choose to take your car interstate, Tesla is building a network of ‘superchargers’ which will recharge your shiny new Tesla car in the time it takes to buy a coffee (with an optional smashed avo bruschetta?) as well as a network of chargers at destinations such as motels, tourist attractions and so on that can be used to top up the car while you are otherwise engaged. While battery or hybrid (battery assisted internal combustion) engine cars are still a novelty in Australia, it isn’t necessarily the case elsewhere in the world. From 2019, all new Volvo’s will have electric assistance or be fully electric. Volkswagen also recently announced that they would be introducing a range of fully electric vehicles in 2020 claiming they had the skills and experience to take on Tesla because of their economies of scale and manufacturing know-how. Nissan, Renault and other companies also offer fully electric vehicles in some countries around the world. Nissan offers the fully electric Leaf in Australia. The Tesla Model S was the best-selling individual car model in Norway (618 sales) in September 2013 followed by the Nissan Leaf (716 cars) in October 2013, primarily because the Norwegian Government (who wisely invested their mining revenue from oil rather than buying votes as the Howard Australian Government chose to do with the tax receipts from our mining boom) supports free charging stations, eliminates some taxes and vehicle usage charges and has legislated for electric vehicles to be able to use bus lanes. In January 2017, half the new cars registered in Norway were fully electric or hybrid. Certainly, the smaller distances travelled in Norway also helps, but most car trips in Australia are also within the range of most electric vehicles. Elon Musk was recently in South Australia signing a contract to build ‘the world’s largest lithium battery’ in 100 days, to store the power generated by a wind farm there. He has promised that if the system isn’t working in the timeframe – it’s free (there is sadly no mention of free steak knives also being included if South Australia buys two battery farms). 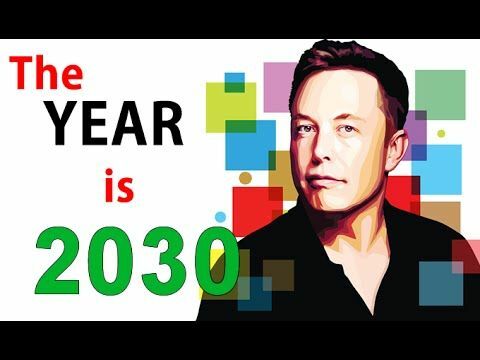 Musk probably has some idea of his chances – certainly you take risks in converting $2,000 into $15 Billion – but it seems the risks he takes pay off more often than they fail. “Essentially, we can go and pour a slab and install the basic wiring, but each one of our Powerpacks is quite self-contained,” said J. B. Straubel, Tesla’s chief technical officer. California is on track to have an overabundance of energy during the day, when its many solar panels are producing energy, but that supply drops sharply as the sun sets, precisely when demand rises, with residents heading home to use appliances and, increasingly, to charge cars. The state’s aging nuclear plants have been closed or are being phased out, putting even more pressure on utilities to find other ways to feed the grid. Storage is a natural solution, utility executives say, helping to smooth variations in the power flow from rooftop customers and when solar falls off and conventional plants have not yet filled the gap. The utility’s need for storage was amplified after the sudden closing of the San Onofre Nuclear Generating Station in 2013. To fill that gap — and fulfill a state mandate to add storage to its energy portfolio — the utility awarded several contracts for battery storage. When the scale of the 2015 leak at the Aliso Canyon gas storage facility in the San Fernando Valley became clear, the commission moved to streamline the process for storage projects. That led to the Tesla project at the Mira Loma substation and an electricity purchase agreement from a similar battery project that AltaGas had installed at its natural gas generator in Pomona. Another large battery installation that was part of the response, from a company called AES for a separate regional utility, San Diego Gas & Electric, is nearing full operation in Escondido. Sounds like a similar situation to Australia, doesn’t it? It’s also pretty obvious from The New York Times report that California at least has ruled out building any more nuclear (or coal for that matter) electricity generation facilities. While Australia has no nuclear power generation, we do have an aging fleet of coal powered generation plant and the ‘sudden’ closure of the Hazelwood plant threw up a number of concerns that the demand for power especially in the Southern states might not be met during the summer of 2017/2018. For months now, Malcolm Turnbull, Josh Frydenberg, various fossil fuel energy executives and media commentators like Paul Kelly have been rabbiting on about the “energy trilemma”. It’s their contention that energy policy must deal with cost, reliability and emissions, and that it is impossible to achieve all three at the same time. Conveniently, they choose to put emissions at the bottom of this list and bury it under a pile of coal, which they claim is cheap and reliable. This is not true. Not even close to it. It doesn’t stand up to basic scrutiny. Renewable energy, which obviously wins on emissions, is now beating coal on cost. What’s more, with an energy grid managed effectively by people who want renewables to succeed, it is no less reliable than fossil fuels. The fact that arch-conservative, Cory Bernardi, was recently revealed to have installed rooftop solar panels demonstrates that these people do not even believe their own rhetoric. They have just chosen to throw truth onto the fire of climate change for political reasons. While using wind generation to charge grid scale batteries is a new concept for Australia, California has demonstrated that the concept is not only practical, it’s working as renewable energy generation from solar panels on domestic household roofs is being stored in bulk for use in peak periods. Victoria thinks storage is an option as well. The Victorian Government opened a tender earlier this year for up to 100MW of grid-scale energy storage by 2018. An increasing number of Australians also have solar panels on the roof at home and it is becoming increasingly common to read about large scale solar farms being established particularly in Queensland – near Toowoomba, at Valdora on the Sunshine Coast, near Clare in the Burdekin and near Gympie just to name a few. Origin Energy signed up to purchase all the energy produced from the farm near Clare so the energy resellers are on board as well. but not until he has monitored his solar generation profile for a while, to work out what size storage system he should get. Very sensible. More points to Bernardi. Whatever he opts for – and we will keep readers posted on that – let’s hope it performs at a standard higher than the Senator’s opinion of grid-scale battery storage. “Musk’s numbers and promises (on battery storage for SA) don’t stack up but the SA and federal governments are already taking the bait,” Bernardi wrote in a blog titled “Beware of the Smooth Salesman,” in March. “After years of peddling fanciful green dreams and endorsing windmills and solar panels as the answer to our growing energy needs, they are close to admitting defeat. “SA Premier Weatherill yesterday commissioned a new gas power plant and ‘battery storage’. While the proposed power plant isn’t big enough, if it does run out of juice I calculate that Musk’s batteries will provide several minutes’ worth of power before needing a recharge!” he wrote. While Bernardi is going to install a battery system on his solar system to ensure he has power in the future, he doesn’t believe the same strategy would work on a larger scale. There seems to be a large disconnect between Bernardi’s personal and public actions. Turnbull also has a large solar array on his roof with battery storage. At this stage who knows if Musk will be supplying Tesla’s battery system for a profit or for free, but the chances of the system failing to store the energy supplied by the wind farm are considerably less than Turnbull, Frydenburg and Bernardi winning the argument that renewable energy is less efficient or more costly than fossil fuelled alternatives. Trump has justifiably faced scorn from around the world for choosing to withdraw the USA from the Paris Agreement to monitor and reduce reliance on fossil fuels. In reality Turnbull and Frydenburg are no better, supporting the fraudulent concept of ‘clean coal’ domestically, as Trump has done. Interestingly, Turnbull sided with the majority at the recent G20 Meeting in Hamburg, where the ‘G19’ didn’t support Trumps insistence on including ‘clean coal’ in the final communique. In confirming a communique had been agreed, Dr Merkel took at pot shot at US President Donald Trump, saying she was pleased all countries – with the exception of the US – agreed the Paris climate accord was irreversible. She said the remaining 19 countries had made a commitment to move swiftly to implement the accord, and that differences with the US had been “noted”. While Turnbull supports emissions reductions and climate protection measures while outside of the country, it seems he has a different message domestically. As is the case in Trump’s America, some states are going it alone and showing the Australian arch-conservatives up for the self-serving, self-interested rent seekers they really are. The transition away from fossil fuels has begun and, like the move away from horse power and steam in favour of petroleum products, it is unstoppable and what we need as a society need to be doing is thinking outside the box and objectively evaluating the impact on our economy of the loss of the coal industry both in the context of jobs and export revenues : just as we should have been doing when our government decided to stop supporting the building of automobiles in this country. What we need to be aware of is that the transition away from fossil fuels will be rapid and the planning for the next ten years is going to be critical. I think it is a great idea to manufacture and export electric vehicles,but i will draw the line at the Government owning or running them! Let’s face it,would you or anybody trust this present Govt to run a hot bath,let alone an important Australian industry? i certaintly would’nt,and even if a certain Govt does get it right,the next one that comes in might be as hopeless as these present mob of morons! Clean coal technology, stone the bloody crows! This is utter BS! Seriously, and I kid you not, as a power station operator for years, we were involved in clean coal technology back in the 80s at a small power station in NSW when Liddell failed. The coal was purchased locally, carted on truck to a washery where the excess dirt and washed of it to reduce its ash content. That’s it!!! End of story! Clean coal as screamed by the Lying Nasty Party is a lie! A fabrication, a hoax. Why do people even consider or believe there is such a thing. Hells bells, the only clean coal technology that truly works is, LEAVE IT IN THE GROUND! Fair dinkum! As power station operators we’d tweak settings, watch our flue gas chem makeup like hawks to ensure that we were operating at maximum efficiency to ensure we were getting maximum power output for minimum fuel (coal) input. And that coal industry advert for clean coal, utter and complete rubbish!! Coal is still being burnt, CO2 still being released at the same rate, nothing to do with clean coal, but everything to do with plant efficiency. The average overall efficiency of a coal fired power station, from my experience, can range from 30% to 40%, back before privatisation we got our (then flagship power station) to an overall availability rating of 98.5% and unit efficiencies to over 39% – unheard of in those days (1990s). Book efficiency – 35%. Our boilers would function at about 85 – 90% efficiency and Turbines at 94 – 96%, except for the condensers – designed to remove the LATENT energy from the steam to produce a pumping medium – water for return to the boiler. If someone could produce a pump to pump steam, WOW, efficiencies would skyrocket. But sadly not in my life time. The condenser drops overall efficiency from say 92% down 30 – 40%. Please, do not believe the LNP & coal industry lies, they are lies with BS on top. DC to AC conversion had its problems then as it produced what we called dirty power which means that where rotating generators produced pure sine wave power, DC-AC converters carried many harmonic frequencies, pure sine waves were impossible to produce from static equipment. Whether modern technologies have improved, my contacts left in the industry tell me no, but they are now paid shitloads by AGL to keep those turbines spinning. Paid shitloads? Well their salaries have tripled since privatisations and their availability has plunged, plant overall efficiency has fallen to below book specs so they are pumping out more CO2 for less power. Well done AGL! Privatisation was a joke, the industry should be returned to the people. Sadly, it is my personal opinion, that here in Oz, we will have coal fired power stations for a while yet for smoothing, frequency control and peak load periods and night. If we had more water and mountains hydro could help, but we’re a dry country and the Snowy is working its arse off at the moment. Expansion in the form Turnbull was pushing is a joke, the water just isn’t available, and btw off peak pumping has been there since commissioning, for those who didn’t already know. Would be good to help Africa sort this problem out. Half of the global supply of cobalt comes from the Democratic Republic of Congo (DRC) in Central Africa. Last year Amnesty International released a report on the rampant use of child labour in mines in the DRC. It concluded that in 2014 there were 40,000 children working in mines across the country, many of them in cobalt mines. Freethinker…Nothing to be proud of there re aussie mining in Africa. Malcolm indicates that power reliability can only be achieved with coal or gas power plants. I don’t know about you kids but I remember back in the good old days before any renewable generations of sitting in a dark house and sometime going to bed without bring able to cook dinner because there was no power. Forgot, had to make sure we had matches and candles for the next time. Butcher baker and the … well one is gone. Zoltan, thousand of farmers used to live with a wind generator made with old 6 DC Volts charging an old car battery or borrow one from the old tractor. They learned to work during day light and go to bed early. Nothing wrong with that, I remember it well, not to mention using the cold water on the water tank as a bush fridge. Now we can do it easy and better, I lived 2 1/2 years in a converted bus with solar panels and good batteries. “It’s left some Aussie junior explorers stranded and potentially short of cash. The ASX put some of those affected into trading halts last week. “Still, keep an eye on events in the Congo.